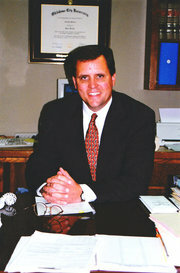 Over 13 years experience specializing in Family, Criminal, Will/Probates, and Personal Injury Law. Former Federal Justice Department Employee, Oklahoma Highway Patrolman, and Criminal Law Instructor. Currently serving as El Reno's City Prosecutor in Municial Court matters. Conveniently located 2 blocks from The Canadian County Courthouse. We are located inside The MidFirst Bank Building.